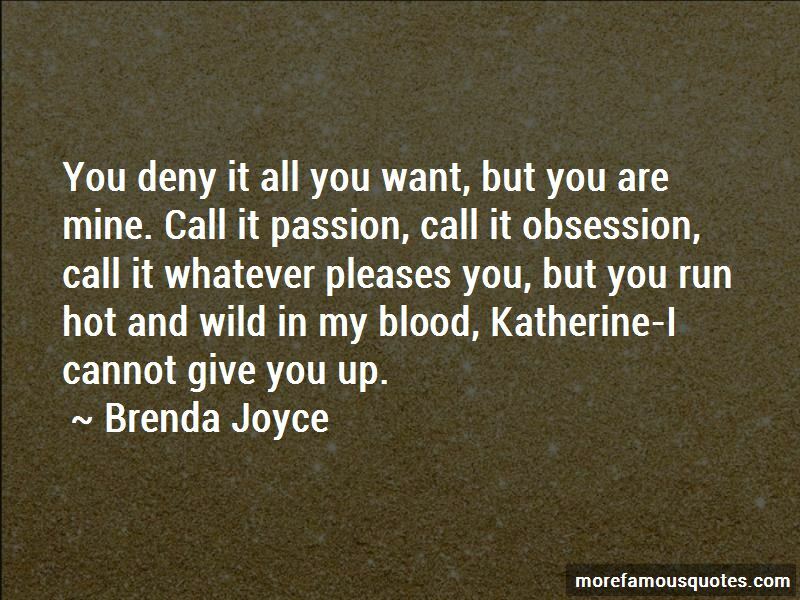 Enjoy the top 10 famous quotes, sayings and quotations by Brenda Joyce. 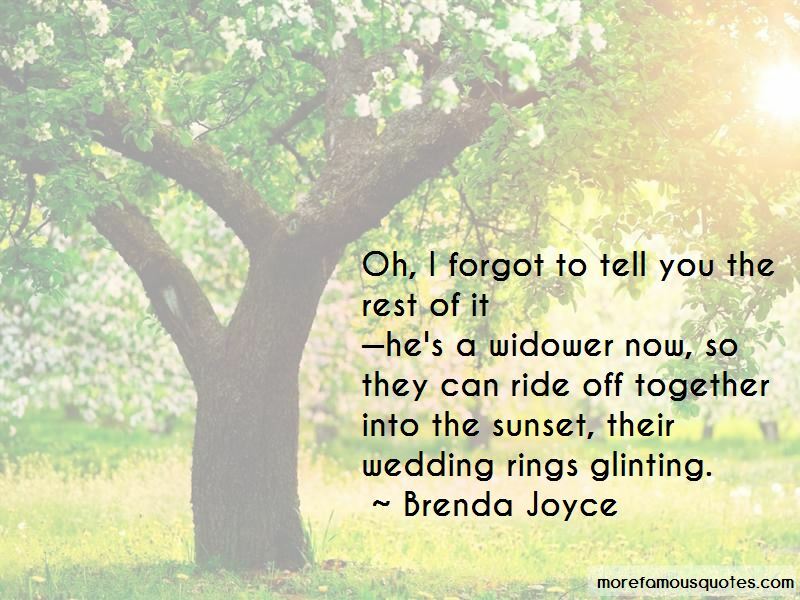 -he's a widower now, so they can ride off together into the sunset, their wedding rings glinting. I am not a twenty-two-year-old boy; I am not a besotted fool. If you think to jilt me, think again. For I will not turn tail and run the other way as he did, oh no. I will find you, and I will drag you to the altar on your back if need be, no matter how you might be screaming. No matter how scandalous it might be. And he stood so closely behind her that she felt his breath feather her neck. Blanche leaped away, putting a polite distance between them, her heart suddenly thundering in her chest. His body hadn't touched hers, but it might as well have, for she had felt his heat. “You have told yourself that you have found your knight in shining armor, my brother Rick. Isn't that the truth? You met him and he fit the bill, so you have told yourself a wonderful story and, stubborn brat that you are, you have been clinging to it ever since. After all, what could be more appropriate than for Francesca Cahill, reformer extraordinaire, to fall in love with my reform-minded Republican brother? But wait! Being as this is a love story, there has to be an unhappy middle and the perfect hero isn't quite so perfect after all. For he is married. Oh, wait! It isn't that bad, after all, for as it turns out he is a man of virtue, and he really loves you, while he despises his wife! And did I forget to mention that she is vile and evil? So the story can limp along, and true love might survive after all! Does this sound at all familiar, Francesca?" 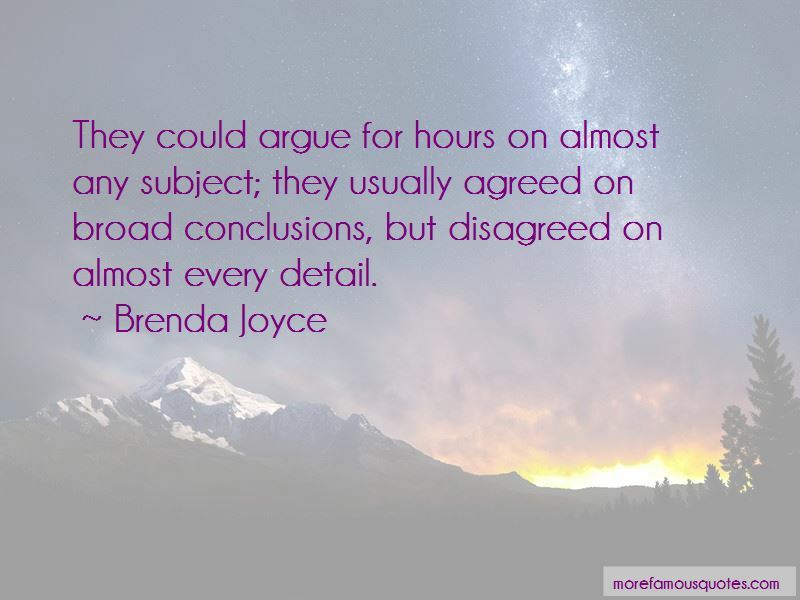 Want to see more pictures of Brenda Joyce quotes? 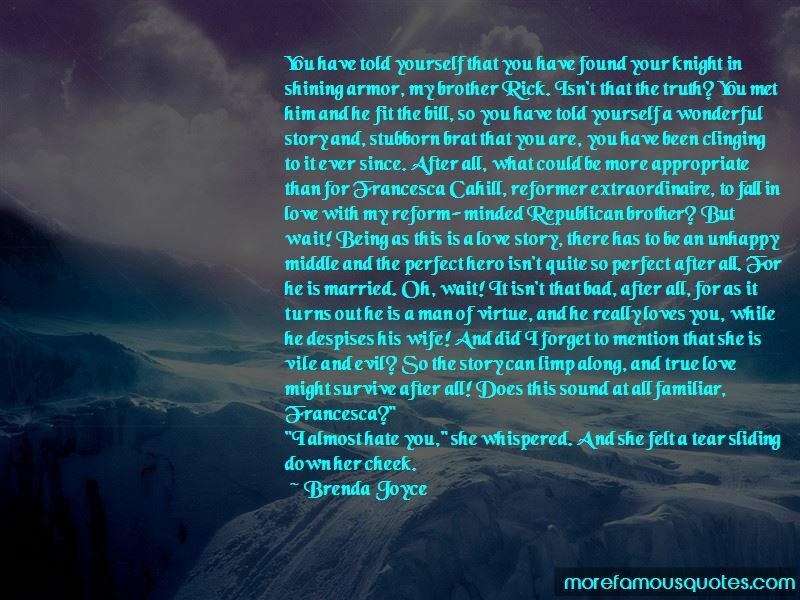 Click on image of Brenda Joyce quotes to view full size.